Week 2 of the 2018 season was pretty busy in Snowdonia. We had the pleasure of leading over 100 clients on various guided walks and courses in the stunning Snowdonia mountains. 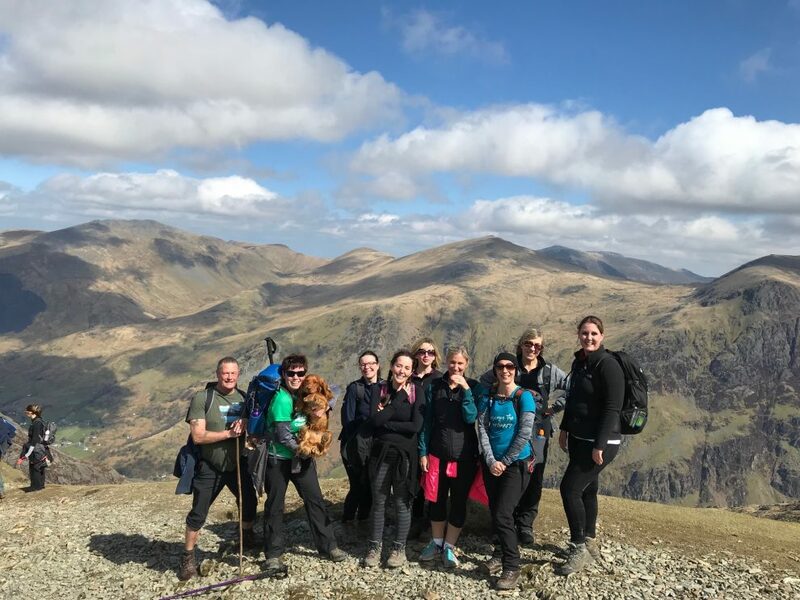 Events ranged from private group walks on Snowdon, scrambling courses, navigation and our popular Snowdon Moonlight walk. It was a busy day on Snowdon mainly down to the sun making an appearance. Our daytime Snowdon guided walk was enjoyed by 20 clients who were all relatively new to hillwalking and exploring Snowdonia. A fantastic group who all made it to the top of Snowdon in glorious sunshine via the Llanberis Path. Well done to the whole group and it was a pleasure spending the day with you all. Tom and Alice were out with a private group who were in training for the Coledale 10 Peak Challenge in June. 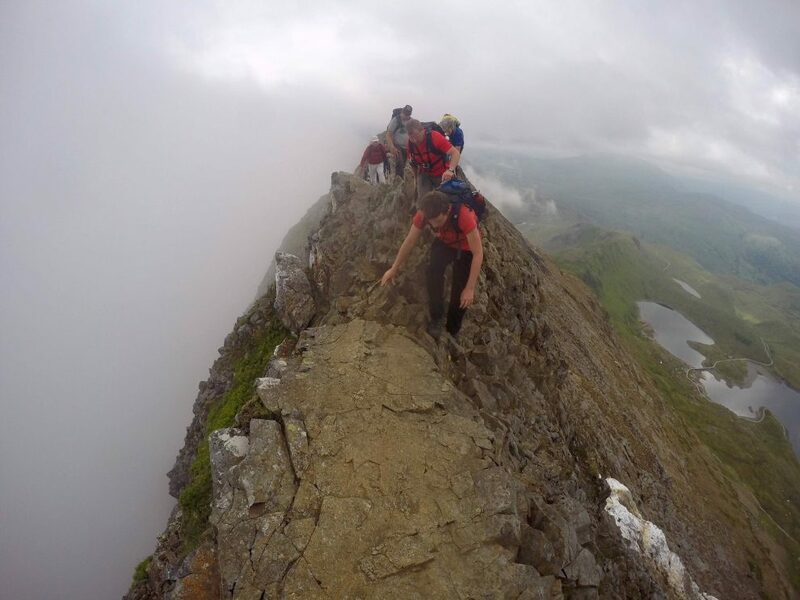 The tackled the longest and possibly the toughest route on Snowdon known as the ‘Big Dipper’. 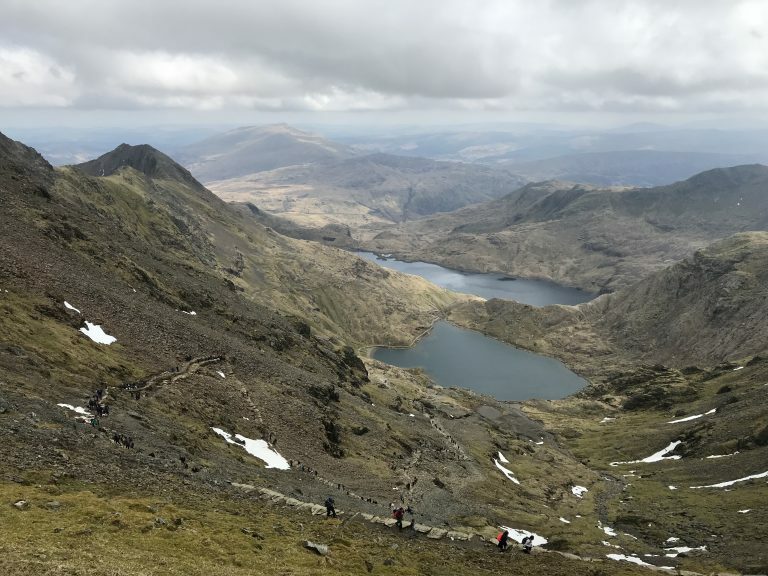 The route took them on a long journey over Moel Eilio and the associated peaks on a roller coaster ride to the top of Snowdon. A big day for all of them! 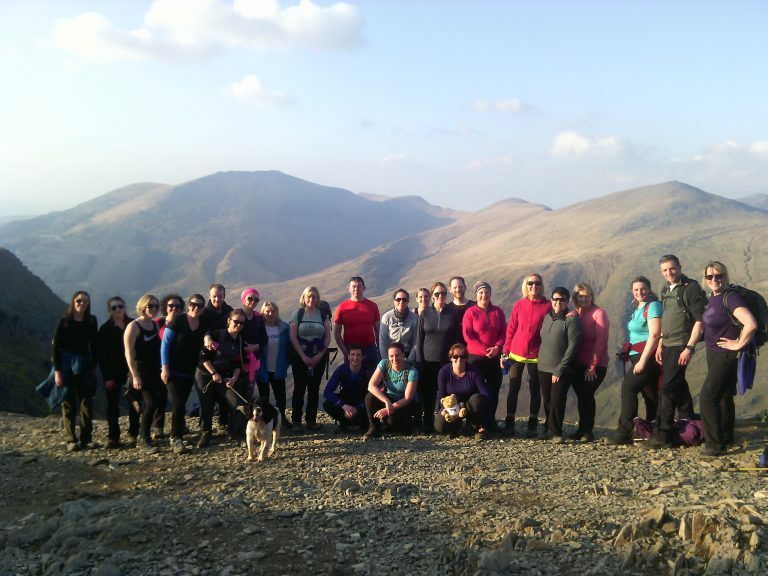 So well done and well look forward to welcoming you back for the Coledale 10 Peak Challenge. Yes, it was our Navigation and Map Reading course and the first of the year. 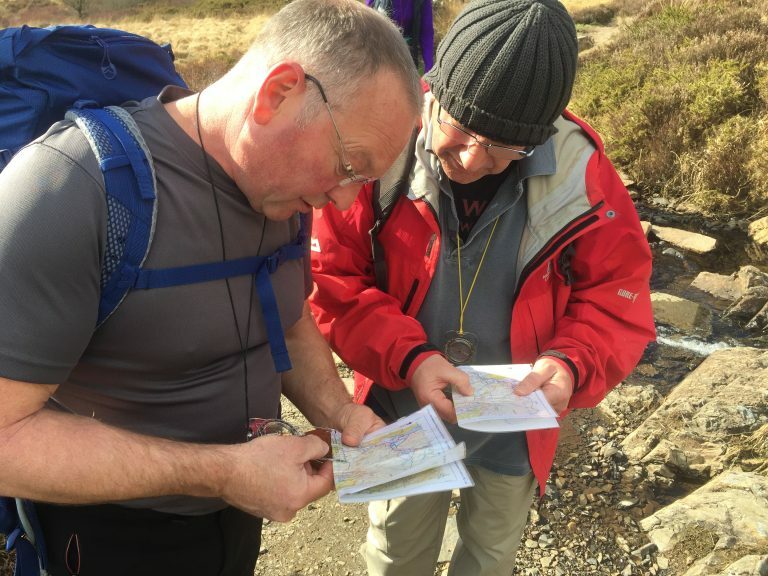 Learning to navigate is an essential skill for all hillwalkers and there is nothing we love more than teaching clients how to use a map and compass properly. The group spent most the day in the Crimpiau area of Snowdonia looking at timings, bearings, relocation, map orientation, ground shape and much more. Jo was extremely impressed with the group who were navigating to some pretty tough points and really grasped all the navigation concepts taught. 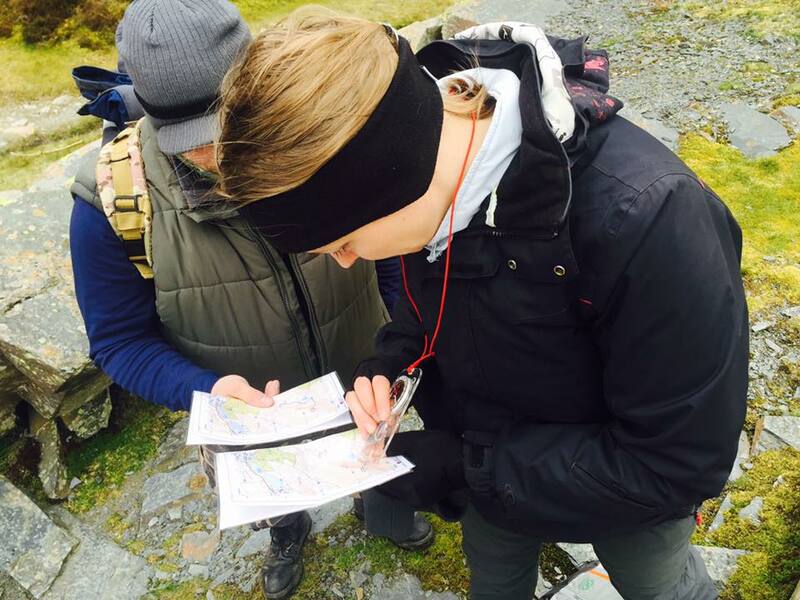 We run several navigation and map reading courses and mountain skills courses in Snowdonia and the Lake District so why not come along and get yourself mountain ready. The Glyderau mountains of Snowdonia are a scramblers paradise and its where we run our Discover Scrambling courses. Epic ridges, steep mountains, rough ground, stunning views and big scrambles…there is no better place in Snowdonia. 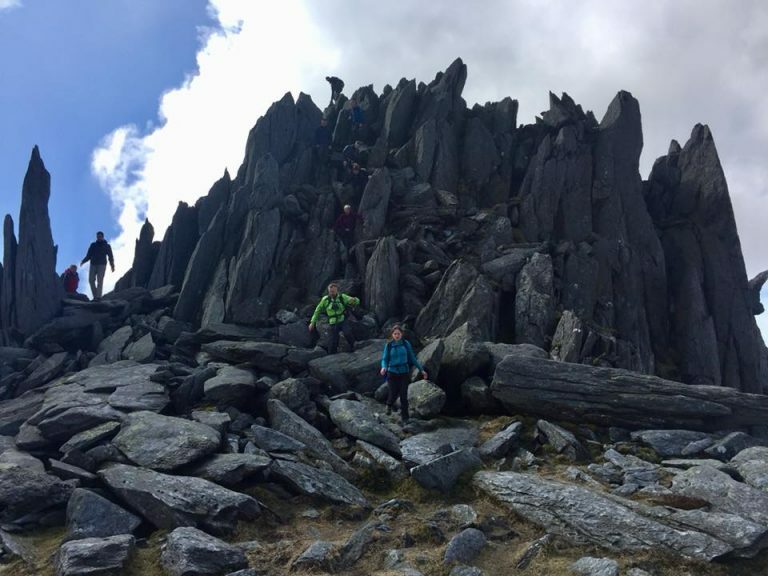 The group tackled some classic grade 1 scrambles over the weekend including Y Gribin, Seniors Gully and Tryfan North Ridge. Although a few were nervous to start by the end of the weekend everyone was having a blast and gained so much confidence scrambling. If you are new to scrambling and want to give it a go then our 2-day Discover Scrambling course is ideal for hillwalkers who want to progress to the steeper stuff. A good level of fitness is required and a head for heights! Discover the Carneddau? … Carneddau discovered! The Carneddau is a large mountain range in northern Snowdonia and consists of a few of the Welsh 3000s peaks. It boasts some of the best hillwalking in Snowdonia and is generally a lot quieter than the Snowdon and Glyderau ranges. 14 clients joined the leaders to tackle 4 big peaks on this circular route of the higher Carneddau peaks. For once the weather wasn’t ‘too’ bad so the group took in some breathtaking views across Snowdonia and out to the Welsh coast. 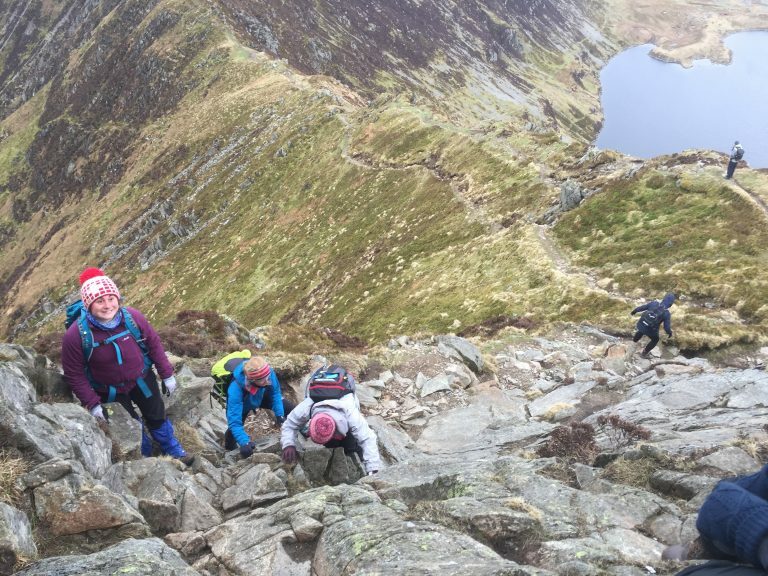 We class this as a ‘quality mountain day’ as the route has a little bit of everything and is a great intermediate level for those who want to get off the main Snowdonia routes and tackle something more challenging. Find out more about the Carneddau guided walk. If there is one event we keep everything crossed for and pray for good weather then it’s our fantastic Snowdon Moonlight guided walk. And…this time the weather was amazing! 34 determined hillwalkers headed for the mountain late afternoon to be on the summit for the 8.20pm sunset. 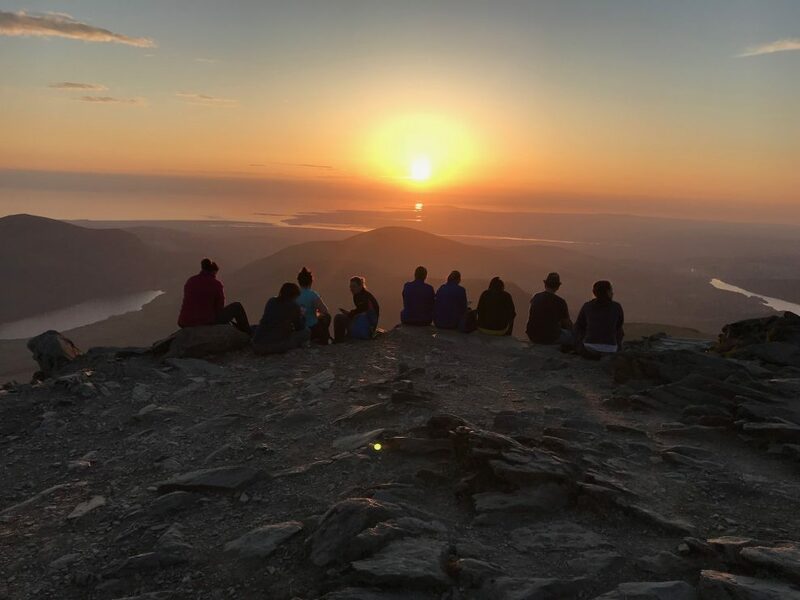 It was a tough walk in the heat but the group were lucky to witness some breathtaking sunset views from the summit of Snowdon. Watching the sunset from the top of Snowdon is a must do for all hillwalkers. We don’t always get the conditions but when we do it’s a breathtaking spectacle. Sadly, the heavens opened up on the way down but that’s Snowdon for you! 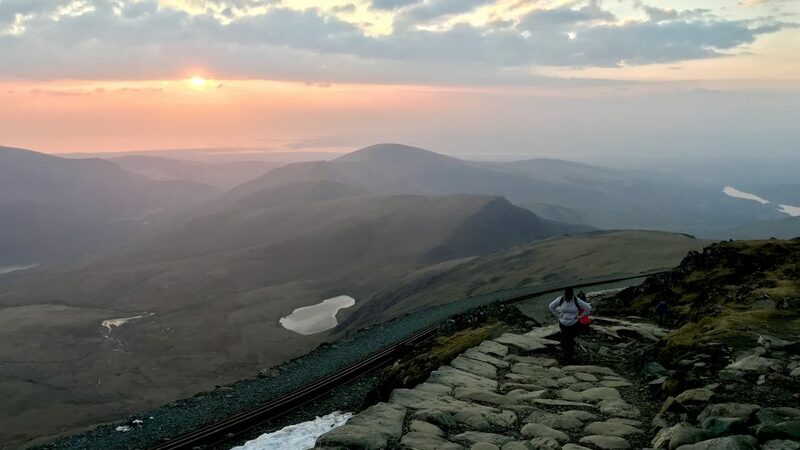 If you fancy tackling Snowdon at night and having the opportunity to witness a Snowdon sunset then find out more about our Snowdon Moonlight walk.